By the way, autocross is a social event and a great time to meet new club members and visit with friends. Each autocross has a unique course design and undoubtedly provides you with a fun driving experience. Last but not least autocross is a social event and a great time to meet new club members and visit with friends. Our excellent club instructors will work with you by providing plenty of driving time through three car control exercises. 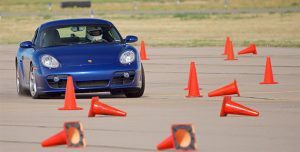 Learn about car balance through a slalom course, throttle steering around two skid pads, and threshold braking and acceleration in a unique triangle exercise. All of this in the morning followed by an afternoon of learning how to autocross using these skills on a full scale autocross course. PCA Parents, remember the School and the Autocross are both open to licensed 16 and 17 year olds. Do you want to be the BEST PARENT EVER? Register your teenager for the school. We always have an instructor in the car and the skills they learn are directly applicable to the street. On Sunday, we return to the Front Range Airport facility to run against the clock! 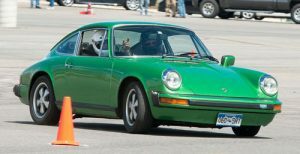 Are you the quickest air cooled 911, Boxster, Turbo, 914, Cayenne? Run times are around a minute, which is a long time to hold your breath if you haven’t attended the school to learn how to breath! This event is a great chance to try out your new found skills from the school and to compete against your friends. Remember, autocross events are open to licensed 16 and 17 year olds. RMR Junior Participation forms and instructions can be found under the forms tab on the club’s website. Please read them carefully. The Autocross School is limited to 50 participants. Please register early to assure your spot. Walkups will be accepted for Sunday (cash and check payments only), but Pre-registration for both events is appreciated as it allows us to plan for ‘beer thirty’ as well as organize the event and obtain volunteers. A Porsche is not required. Only SUV’s with a Porsche badge are permitted and no pickups. Convertibles are just fine and you can run them with the top down. Restrooms are available onsite, however no concessions are available nor are any nearby. Please remember to bring your own lunch and non alcoholic drinks during the day. Refreshments will be served at the end of each day. Coffee and rolls each morning. 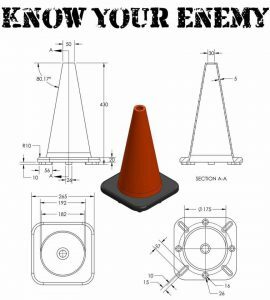 You will need a Snell rated 2010 or newer helmet. Motorcycle helmets with this designation are acceptable. The club will have several loaner helmets available. Top Tech to be held prior to the start of each run group on Sunday. Caution: Do not use dot com maps or GPS using the airports address. These services will take you to the terminal only and not to the site of the event. If you can volunteer to assist the chair in setting up the course and other activities to make this a successful event please call Chris Sulley at 720-630-6898 or send an email to cjsulley@comcast.net.